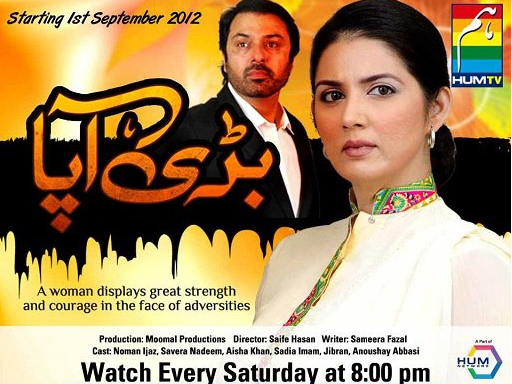 The year 2012 showcased more or less hundreds of Pakistani dramas and soaps and only a handful were worth watching and that was mostly due to veteran actors who were outstandingly authentic or delightful in their roles. Here is my list of memorable TV characters of 2012. 1. Savera Nadeem as Zubaida in Badi Aapa (Hum) – In a cliched role of the first wife, Savera skillfully plays Zubaida who is a complex person. She is neurotic, dominating, sensitive, cunning, naïve, overall a very well written character. 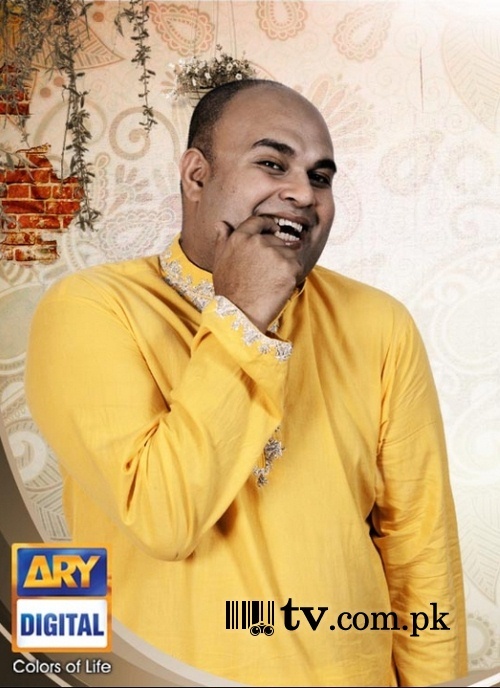 And not to forget her mousey husband is played by the top-notch actor Nauman Ejaz. 2. Hina Dilpazeer Khan as Mummy in Quddusi Saheb Ki Bewa (ARY) – With dental prosthetics, a flying saucer hairdo, gorgeous silk saris, Hina transforms herself as Mummy, a caricature of Madam Bahar, the veteran Pakistani film actress who mostly played vampy mothers of moderen vamps in the glorious days of Lollywood. Mummy spends her free time swigging from the bottle and playing rummy with her equally awara moderen friends, the character is a hoot. 3. Hina Dilpazeer Khan as Shakooran in Quddusi Saheb Ki Bewa (ARY) – Hina is delightful as the snobbish Urdu-speaking matriarch of a household comprising three daughters that earn for the family and a son relegated to kitchen affairs. The muhavaras/idioms/proverbs that shower from her mouth are matchless. 4. Badar Khalil as Aqeela Khala in Quddusi Saheb Ki Bewa (ARY) – Baddo is wonderful as the stinky abaya-clad kleptomaniac rishta karanay vali khala. 5. Waqar Hussain as Wadood Ahmed in Quddusi Saheb Ki Bewah (ARY) – What a brother! What a character! What naiveness! You have to see this serial to understand what I am trying to convey. 6. Nadia Jamil as Shandana in Durr-e-Shahwar (Hum) – Shandana is a working woman, a mother and a wife and whose long-standing marriage is falling apart. It was good to see Nadia Jamil back on the screen after a long gap for she capably brought out the frustration and sadness of her character. 7. Sania Saeed as Mehru in Zard Mausam (Hum) – Sania essayed the grey role of a bitter mother with great restraint employing subtle facial expressions. Only a skilled actor is able to pull of such a challenging role. 8. Sajil as Neeli in Mohabbat Jaye Bhad Main (Hum) – Written by Faseeh Bari Khan, Neeli is a loud mouth, brash, flirtatious schoolgirl have an affair right under the nose of her philandering father. 9. Faisal Quraishi as Rafique in Sabz Pari Laal Kabootar (Geo) – Even though Faisal Quraishi has become a permanent fixture in the drama scene yet no one can accuse him of not doing his job well. In this particular heart-wrenching and realistic production he is outstanding as a drug-addicted rickshaw driver whose addiction destroys his family. 10. Nimra Bucha as Sakina in Sabz Pari Laal Kabootar (Geo) – The wife of rickshaw driver who abandons her and their children due to his drug addiction. 11. 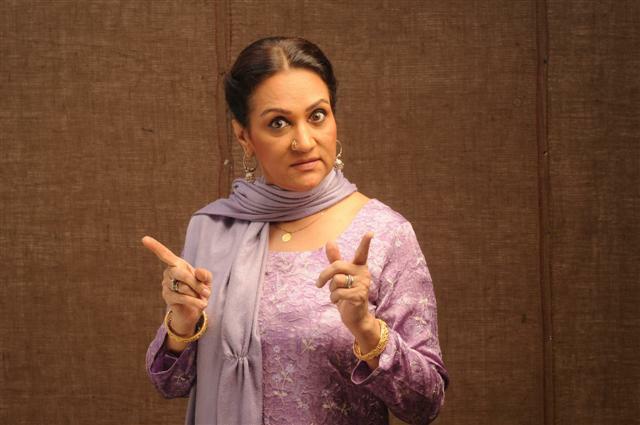 Bushra Ansari as Bilqees Kaur in Bilquees Kaur (Hum) – As the dominating Punjabi matriarch running a dhaba in New Yarak, Bushra Ansari outshone everyone in Bilquis Kaur. 12. 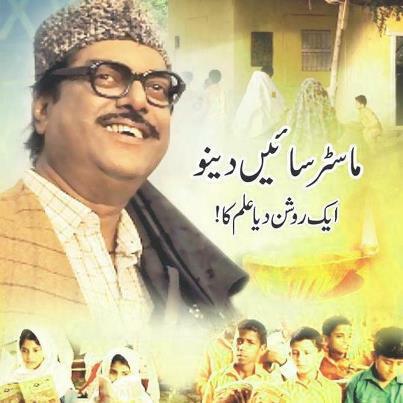 Salahuddin Tunio as Master Saeen Dino in Diya Jalaye Rakhna (Geo) – This soap has the veteran actor play the role of Master Saeen Dino responsible for bringing education especially to girls in a small village in Sindh. 13. Sabeen Hisbani in Emaan (Express) – As the bhabhi who is learning English to impress her brother-in-law’s newly arrived American wife, Sabeen is hilarious in this character. If anyone is interested in seeing the U-turn of Ali Azmat of the Junoon band fame, that created arguably the best rock music in Pakistan and which pioneered sufi rock, then VIP Lounge, a celebrity talk show hosted by actor and model Juggan Kazim March 26 episode is the one to watch. Interestingly it wasn’t Juggan who grilled Ali on his turnaround but another firebrand guest, actor and host Nadia Jamil. Ali passionately defended Zaid Hamid, a political commentator who believes that the Raw-US-Zionist triangle is hell-bent on wrecking Pakistan and that one day Pakistan will conquer Hindustan (India) to establish the Islamic Caliphate. Anyway Ali accused Nadia and people like her for watching only five minutes of Zaid on the telly and making half-baked judgements. Nadia refused this accusation and said that as far as she is concerned she had watched quite a few episodes from start to finish and had then come to the conclusion that Zaid was a hate mongerer who suffered from a persecution complex and mislead people. She called Ali a sufi fraud as at one point of his music career he was singing of brotherhood and love in India and now he was talking about Hindu Zionism! Indeed it is depressing to see the descent of Ali in this manner as now all he talks about Hindus and Zionists are desperately trying to wreck the country. He is seen in Imran Khan’s rallies espousing the same thoughts and making songs that revolve around US having overtaken Pakistan such as Bumphatta.